Pixel Lust II will run from March 16 to 29 and will like its predecessor take gamers back in time with a selection of original work by local artists, alongside vintage consoles and retro games. On display will be everything from the ZX Spectrum to the Philips Videopac G7000, a console partly built in Blackburn. 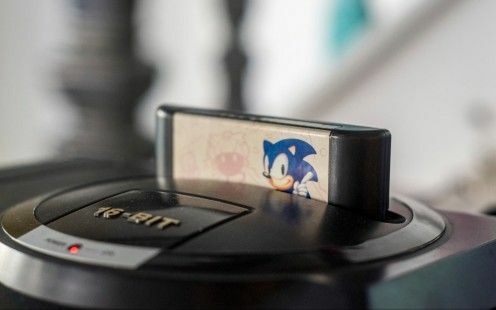 Gamers can also get a blast from the past with classic titles such as Manic Miner and Donkey Kong or battle it out at a gaming party for the coveted golden joystick. Gaming inspired crafts such as the Stitch a Sprite workshops will take place at the Blackburn is Open backed event as well as jewellery, electronics and programming workshops. Music event “Beats of Rage II” will include 8-bit DJs and live jazz interpretations of classic video game tunes. But perhaps most importantly for organiser Alex Martindale the exhibition will featured artwork inspired by computer graphics including paintings, screen prints, graphic illustrations, installations and pixel art. Alex’s aim: come for the games – stay for the art. said the Blackburn based software developer. 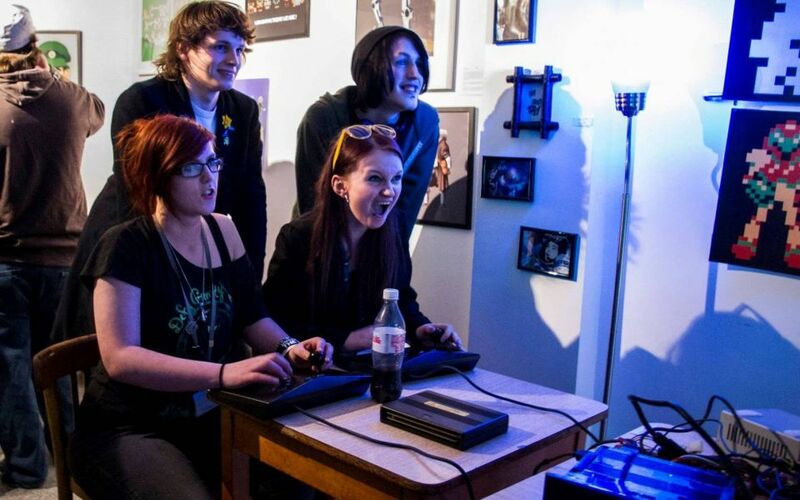 He hopes Pixel Lust, which was held for the first time last year and saw over 300 people visit, will stimulate debate. Video games are the world’s most popular form of home entertainment and since 2012 games have outsold music, DVD and other video formats. Yet despite this success, video games still aren’t widely considered to be an artistic medium. Pixel Lust II will also introduce a new element to this year’s event with a focus on making inspired by the hacker movement. Events will include Tech Jam, an opensource electronics event for people wanting to start “home brew” projects as well as an introduction to basic coding for youngsters with Scratch software. We’re getting practical with programming and electronics workshops and celebrating technologies such as Minecraft, Arduino and Raspberry Pi, that encourage adults and young people alike to get their hands dirty, but only digitally, of course. Textiles workshop. Learn cross stitch and other techniques to make your own sprite pin badge or hair accessory to take home. Materials provided. Electronics workshop for beginners. Programme the Arduino compatible Shrimp microcomputer to create your own Simple Simon memory game to take home. Price includes kit which is yours to keep. 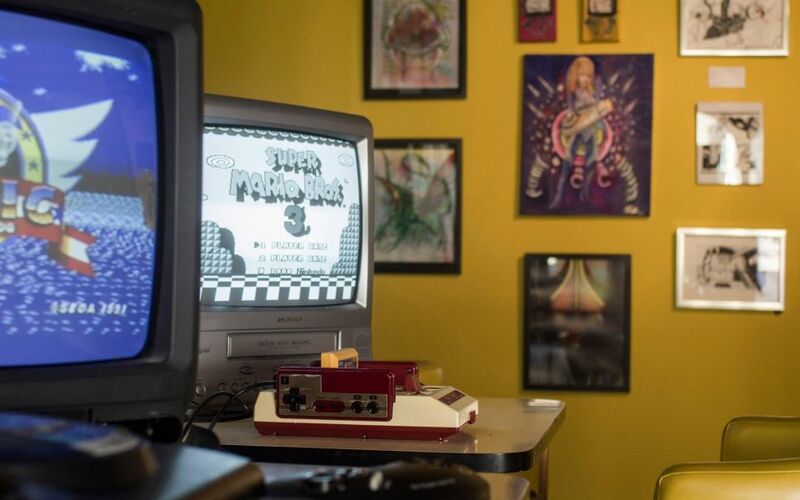 Play our arcade cabinet and retro consoles or bring along your own. Competition to win the coveted PIXEL LUST Golden Joystick. Learn new techniques in ceramic and beaded jewellery. then make your own pixel creations to take home. A night of live music influenced by retro video games. Saturday, March 21 Midday – 5pm, free. Opensource art and craft event where anything goes as long as it’s got less than 32 bits. Pixel Lust artists will be on hand with materials and advice – unleash your creativity and imagination. Sunday, March 22 11am-17pm, free. Unconference- featuring workshops and talks based art, electronics and retro gaming. Learn new skills and push your projects. Fun with Scratch: Teach your youngsters to code. Wednesday, March 25 5-10pm, Free (Bring your own PC or Mac laptop). Scratch is the perfect introduction to programming. Create your own games and Age 8+ animations “from scratch” with help from our experts. Friday, March 27 5-10pm, Free (Bring your own PC or Mac laptop). Learn how to create a Minecraft world using free, opensource tools. Opensource electronics and tech event. Work with our electronics, Arduino and Raspberry Pi experts to create your own project. The Pixel Lust shop will be open for all your component needs. Game Over: Closing party and art sale. Meet the artists, buy work. Retro soundtracks DJ.